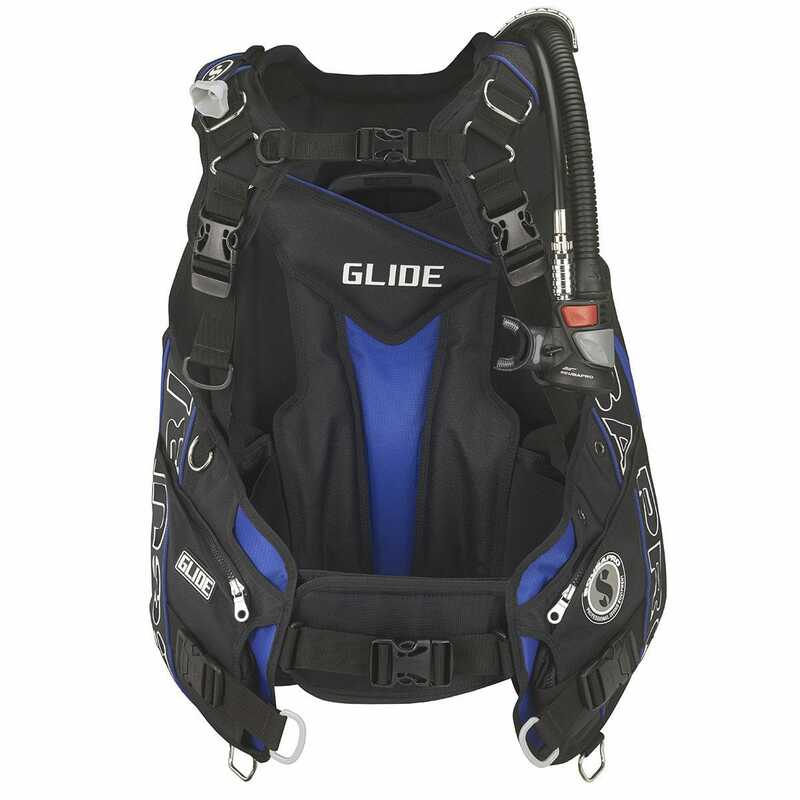 The Glide is a front-adjustable BCD with special design features to maximize comfort, fit and performance. 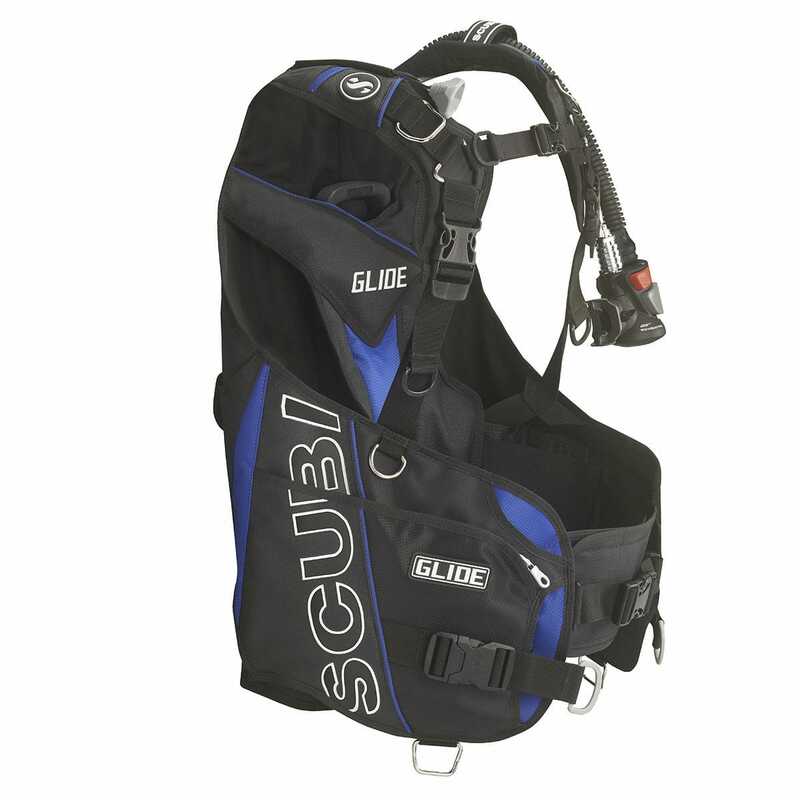 The Glide comes with a new Y-Fit shoulder design that adapts to the body better, allowing for excellent control and range of motion for arms. The stainless steel triangular ring manages the forces in the Y’s center, balancing pressure over the body and keeping the harness under control, regardless of dive conditions or your position in the water. The lower strap is connected to the backpack where it meets the cummerbund, creating a safe and comfortable link. 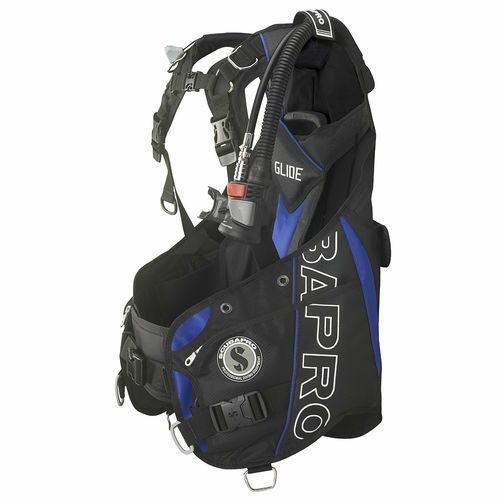 The dump system includes three new-generation valves that allow you to deflate the wraparound bladder in any swimming position.